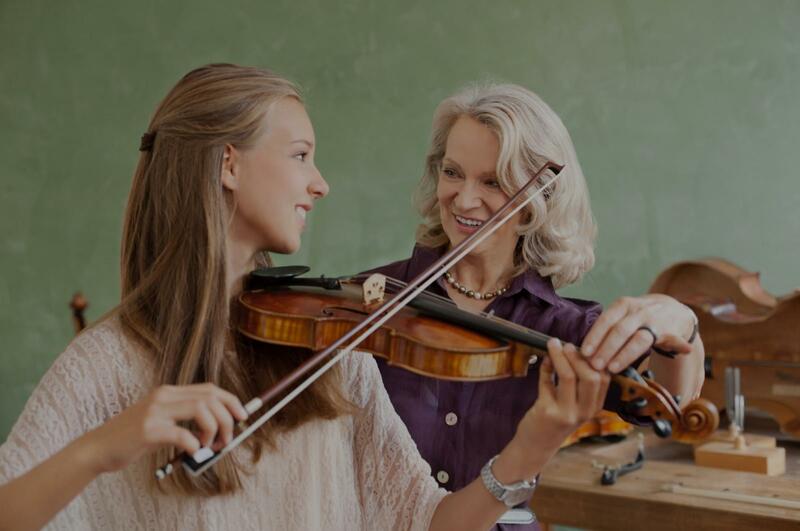 Bell, CA Violin Lessons Near Me | Fun Classes. Top Tutors. I teach the Suzuki method, but I also like to incorporate different styles of violin music as well, including fiddling and Celtic. I also teach music theory and how to read music. After the first lesson, I'll come up with a customized lesson plan to keep you or your child engaged and inspired to keep playing! I am originally from North Carolina and graduated from the University of North Carolina at Greensboro. I have been involved in music, theatre and dance since the age of 3. I also have worked with various professional children's theatre companies and run my own touring theatre company. I have been a Zumba instructor since 2011 and I have been a swimming instructor/lifeguard since 2003. I believe that learning anything new should be a fun experience. If it's not fun then you're more likely to get frustrated and quit. My teaching philosophy is that I want to know what inspires you and create lessons that will keep you or your children interested and having fun. During the first lesson we will figure out a personalized lesson and go from there. ave a proper size violin, shoulder rest and bow. For beginner piano students you should have at least a 61 key keyboard, but an 88 keyboard piano is preferred. I'm very personable, very communicative and I work well with all ages. Megan is very patient and accommodating. Recommend for beginners! I had Megan as a Zumba instructor and she was great. Very fun, loved her choices of music and dances. Got in great shape! Hello, my schedule is now available to new students! I cater to the individual's needs while instilling the basics of violin. Every student learns in a different way, and I make sure to teach in the method that is most effective for that student. Because I perform so often, I know the necessary skills to teach violin practically and efficiently. Grace earned her Bachelor of Music with a concentration in Violin Performance from Wayne State University under Dr. Laura Roelofs, where she was also an instructor for String Project @Wayne, a four year teaching internship with the youth of Detroit. d then utilizing the necessary tools to take that student to the next level in their performing skills. I highly recommend Grace. When i was younger, I mastered a variety of musical instruments and played well into college. Learning the violin has always been elusive. I’ve had many teachers but now i’ve been progressing farther than before. I credit this to Grace. She has a well thought out lesson plan that challenges me while concentrating on the fundamentals and techniques. Some teachers are more forgiving on technique reasoning that it can be corrected at a later date. It’s best to learn it correctly at the beginning. She is patient and communicates clearly. I enjoy her proper demonstrations. Her enthusiam is infectuous and her passion shines through. She also teaches my 80 year old mother. It has always been somthing she’s always wanted to learn. It is not easy to teach anyone the violin, let alone an 80 year old. Her lesson plan and approach is quite different to mine but very effective. My mother is progressing well. Among her teaching aids, she employs a traditional strings book, i find this comforting as it provides a familiar take and consistency. Before moving on, she checks and ensures proficiency and mastery of the previous lessons. Again, reinforcing the fundamentals and building on top of them. Understandably, the price per lesson is a factor. I find Grace’s rates to be fair and of great value. If you really want to learn and have the violin be a part of your life, hire Grace because of her approach and skill and not based on pricing. Without knowing much of what to look for in a teacher, i now know its; enthusiam, patience, undertanding, a well defined lesson plan, mastery of skills before moving forward, consistency, open communication and lastly, not taking excuses for sloppiness due to lack of practice. (She will encourage you to practice and you’ll get better which in-turn motivates you). She will not just let you get by but help you master the violin. Grace was an extremely patient, attentive tutor who helped me build foundational bowing and sheet music skills. I highly recommend her for violin lessons! Grace is fantastic. Very patient and clear. Andrew Graybill is now accepting students and offering private violin lessons in the Pasadena, La Canada, La Crescenta, Burbank, Glendale, Arcadia, and San Marino areas. Andrew loves to teach children of all ages and backgrounds. Andrew will provide many references of current and former students who have taken violin lessons over the years. Feel free to contact us with any questions about lessons for you or your child. oing to violin lessons a lot. In addition to being patient and encouraging, Lily's musical expertise is also incredible." Los Angeles, CA teacher: Lily F.
"Anna corrects my daughter's posture and mistakes very smoothly. She is a patient and kind teacher. I strongly recommend Anna." is very careful and detailed in her approach which is very important when working with a child who is beginning to learn. She keeps the child engaged through out the class, with games, little dance steps, striking conversation with the child etc. She has interesting ideas and techniques to teach this difficult instrument to a five year old. So far we are very happy with Gabrielle." and my age, which is 28, that its a late start. All these negative thoughts were gone since my first lesson with Sarah. She is so skillful and positive. She changed my idea about learning and made it easy for me. Classes are fun and enjoyable. She insists in repeating and doesn't move on to the next step until she is confident that I did the first right. Can't wait until I get more of these lessons. And hopefully better in playing the violin." Los Angeles, CA teacher: Sarah H.